We make chocolate with benefits. Get your dose of Energy, Sleep, or Calming nutrients in delicious candy coated chocolate treats. Deliciously juicy, while organic fruit, sun-sweetened and infused with water. 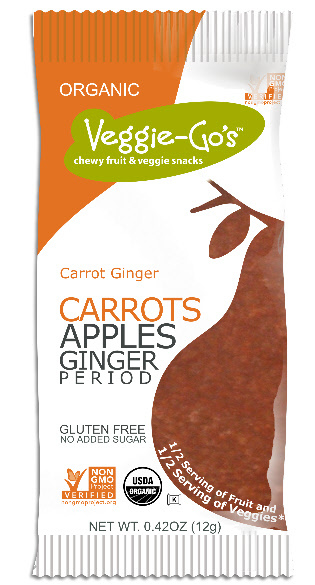 Dried fruit reinvented! NonGMO, Gluten Free, Kosher, Organic and Vegan. Wholesome, organic ingredients. Performance nutrition and great taste. Whether you're on a 150-mile bike ride or exploring a new trail, this energy bar is built to sustain your adventure. Nutriblade is a Superfood Superstar! They've cracked the code by making wheatgrass taste great! Organic, non-GMO, & Gluten Free! Looking for a cookie you can eat guilt free? Morning Sunshine Cookie is a high protein, high fiber way to get your cookie fix without the empty calories. Clean ingredients, nutritionally superior and full functional cookies let you say "yes" to cookie anytime! Miracle Tree is an award-winning superfood brand which focuses on sourcing quality herbal teas with a focus on nutritiinal ingredients. Veggie-Go's are the easiest way to love you veggies on the go! Genesis Today Garcinia Cambogia Drink Mixes featuring 1000mg of Garcinia Cambogia with 60% (HCA) for weight management support. A blend of 75 Superfoods plus probiotics and enzymes to support healthy digestion and daily nutrition. The best 100% natural #vegan #energy supplement to take before a #workout or when you need that extra boost without the jitters. Fit Snack January Monthly Box is awesome! It's packed full of so many wonderful products. I'm in love with each and every one of them! Fit Snack has introduced me to so many healthy treats over the last few months and has taught me that there's so many healthy alternatives that actually taste delicious. If you're looking for a way to be healthier in 2016, Fit Snack is it. By introducing you to new brands that produce healthy products you can fall in love with healthy snacking in the new year and become a whole new healthier you! 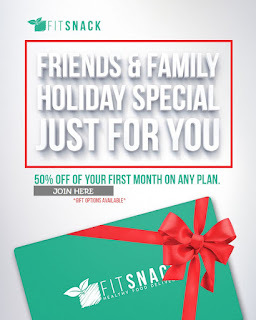 50% discount off of first month's box through Jan 31st 2016!